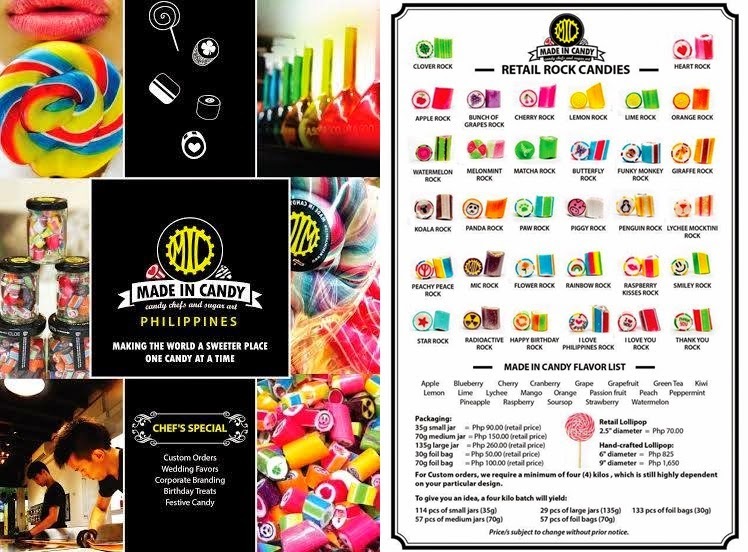 Made In Candy Philippines- Customized Rock Candies + Giveaway! Looking for the perfect giveaway this Christmas? You might want check out Made in Candy- the first candy-kitchen in the country that makes contemporary hand-made candies from scratch. Their stores have this open-kitchen setup, that will make you want to stop and watch their candymen in action. I chanced upon their first store in Rockwell a few years back, and after seeing the effort and passion their candymen exert in making their candies, I decided to buy a pack. Ok, I'll admit, we bought some after stuffing ourselves with some free samples. Just last week, Sumi, Stacy, Roch and I got to experience being candymen for a day and were tasked to help in making their famous Bunch of Grapes Rock. A drawing of the design was made for reference during the whole process. First step in the candy making process is Sugar Boiling which takes around 20 minutes. We were asked to wear these special protective gloves since the mixture and the surface table we will be working on is hot. Once the gloves are worn, you cannot touch anything except the candy mixture for sanitation purposes. And we are all set to make candies!! Once the mixture reached a certain boiling point, it is transferred to a flat surface where the flavors and colors are mixed. For this batch, we used white, brown, dark and light violet colors. The whole process involves a lot of kneading, rolling, cutting, assembling, and pulling. It was so much fun! The whole chunk is then stretched to smaller candy logs and chopped to mini-sized pieces. The candies are set to rest for a while until they cool down and become ready for packaging. The excess candy dough can still be made into lollies of different shapes. After watching the whole candy-making process, you can now check their store for some candy jars or candy packs to take home. You can even ask for free samples to help you decide which flavors to get. 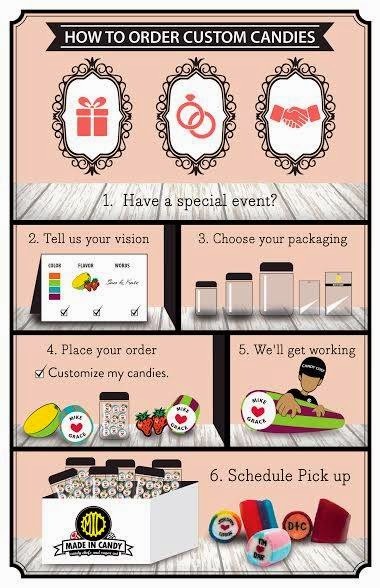 Plus, did you know that you can customize your own Made in Candy for giveaways and souvenirs. Just like my customized Baymax lollipop! Cool right? Please follow the first (4) MANDATORY mechanics for your entry to be valid. Again, please make sure you complete the (4) mandatory steps. I will be double checking all entries and will delete the names of those who did less than 4 steps. Good Luck and Merry Christmas to everyone!!! Shaunie reply for my email address. I hate myself for knowing your blog just today. I cant take my eyes off your blog. And thhis raffle huhuhu this is the sweetest thing ever.